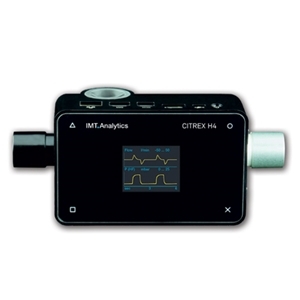 The CITREX H4 gas flow analyzer is designed for mobile and easy use while still meeting all requirements of day-to-day field operations. Its capabilities allows it to analyze the performance of a wide variety of medical devices. Examples of gas flow or pressure producing devices are: respiratory ventilators, endoscopic insufflators, anesthetic machines, oxygen flow meters, pressure gauges and suction devices.